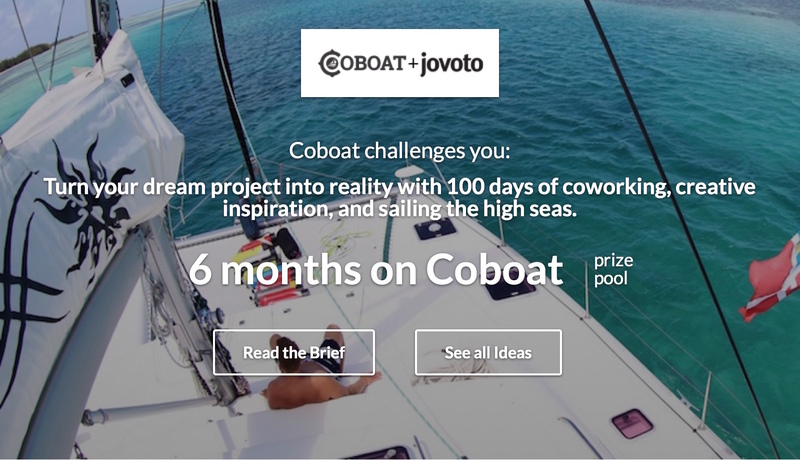 Coboat and jovoto are looking for the best idea to help make the very first “Made on Coboat” project a reality. A question that is aimed at the motivation of every creative nomad and perfectly describes the spirit of the “Made on Coboat” initiative. 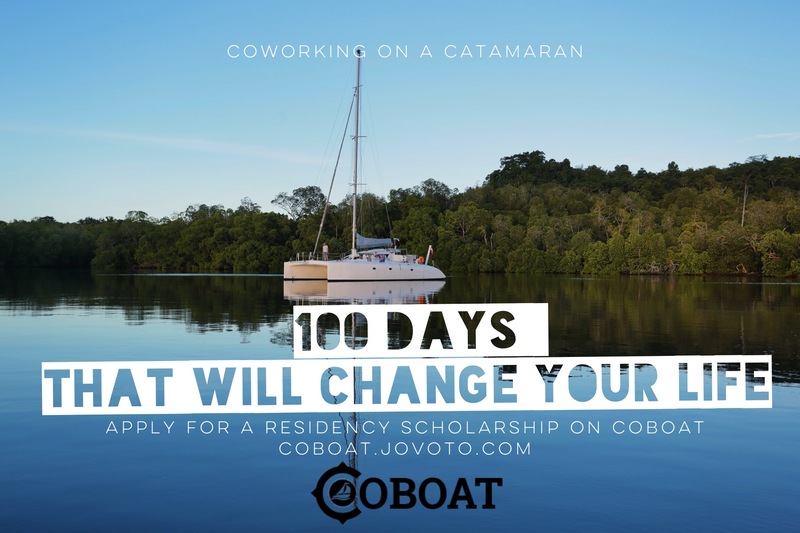 People from all over the world are invited to apply for “Made on Coboat” with a chance to win 100 days on the coworking catamaran and therefore become the first creative, who makes her or his dream project a reality. Turn your dream project into reality with 100 days of coworking, creative inspiration, and sailing the high seas. Coboat is an 82 feet retrofitted sailing catamaran and floating coworking space. Circumnavigating the globe and exploring uncharted waters, Coboat will be home and office for up to 20 digital nomads as they collectively set out on a sea-faring adventure combining life, work and play. Launching at the end of the year, Coboat will be the very first coworking space on the water. 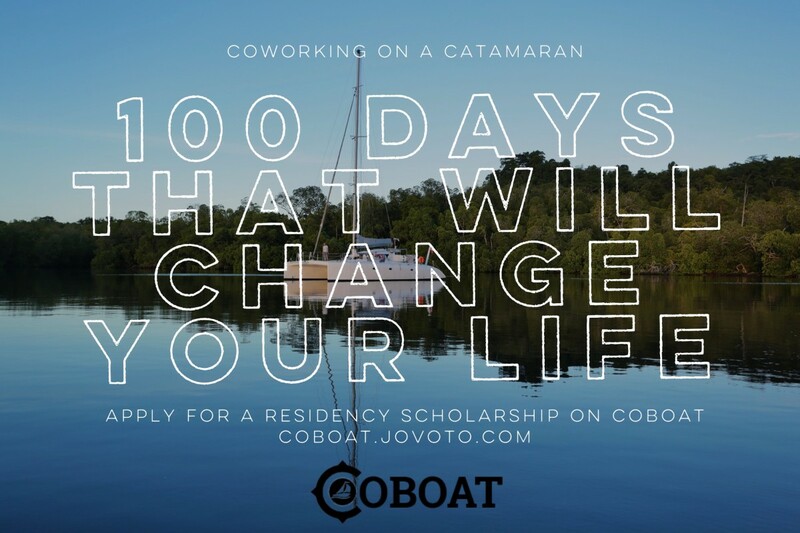 To celebrate the launch, Coboat is giving out a 3-month residency scholarship to one person that will create her or his dream project – Made on Coboat. In jovoto, the Berlin-based company that enables brands to crowdstorm new ideas, Coboat has the ideal partner to offer a perfect platform where applicants can showcase their idea to the community and jury. The landing page coboat.jovoto.com went live on Thursday, August 13th 2015. From now on, applicants are able to pitch their idea, whether it is their first movie, latest book plot, a new business idea, app or any other project. All registered users on jovoto.com will be able to vote for their favourite idea submissions until September 24th. The dialog between the participants and the creative community on jovoto is lively and open, thanks to jovoto’s commentary system that encourages interaction. “Our mission since 2007 has been to unleash creative talent from so-called ‘traditional’ work environments. We all know what kills our own creativity: a rigid organizational structure, long working hours sitting at the same desk, little work/life balance, ideating always with the same people, and so forth.”, says Head of Marketing, Liz von Loewen of jovoto. A jury of seven members will decide for the winner of the “Made on Coboat” project. Among the seven jury members are the founder of Nextspace, Jeremy Neuner, as well as the founder of Copass, Eric van den Broek. The grand jury prize winner will receive 100 days of food and lodging, and the chance of a lifetime to sail around the world with other creative nomads aboard Coboat. Coboat is a coworking space on a catamaran that travels the world. Digital nomads, founders or freelancers are able to book one of the 20 available spots by week. The ticket includes a accommodation, catering and high-speed internet. Additionally, Coboat enables inspiration and knowledge exchange, as well as numerous possibilities to experience the world right on the water (sailing, diving, photography, cooking). Coboat is non-profit venture. Net income will be re-invested into maintaining and further developing the project, as well as charity and aid projects for the areas where the Coboat community stays. Coboat is powered by environmentally-friendly, sustainable technology, which includes a state-of-the-art electric motor powered by solar and wind energy. jovoto is a web platform that allows organizations to brainstorm with more than 68 000 creative talents from around the world, to solve their design and innovation challenges. This process is called crowdstorming.